Enter your requirements below. Measure the total area of the room in metres or feet and inches. We would recommend you add 10% to this total for wastage. 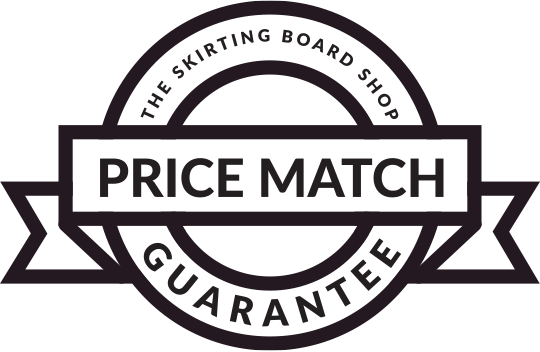 The Skirting Board Shop specialises in creating the perfect home through high quality wooden interior finishes. Our online shop supplies a huge range of cheap skirting boards, MDF architraves, interior window sills, rebated door casings, door linings and accessories so it’s easy to achieve a uniform look from our woodwork. Whether you’re renovating a period property, or adding the finishing touches to a new build, we are constantly adding to our vast range of styles and sizes to make sure we can help you to create the perfect interior finish. Request a free sample to see how our products will look in your property. We stock a wide range of high quality MDF skirting boards and architraves, available in a range of beautiful finishes, including best-sellers, Primed, Fully Finished, and Oak Veneered. Know exactly what style you need? Our extensive range of profiles is available to view here, from popular Torus, Ogee and Round profiles to more individual Georgian, Edwardian or Victorian profiles.